While under full-time employment at SOE Software, Shasta County Elections Office came to us requesting a upgrade to their elections website, but with the colors to matched thier county's main website. I was tasked to create a crisp, flat website design that included a set of quick link items to specific content, a search bar, voter statistics, and minimal content. I began by researching the county's primary website and apply the color scheme to a clean, minimal design based on their requirements. 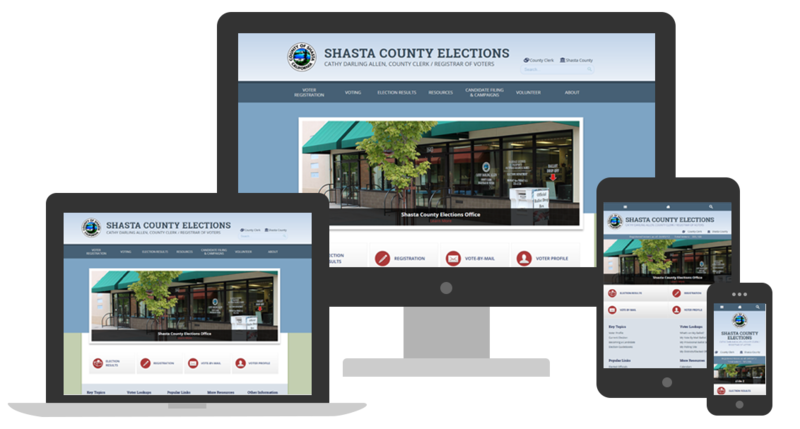 Shasta County Elections' website design was then carved out and built into a responsive WordPress theme that exemplified the county's specifications and met their desired needs and requirements.